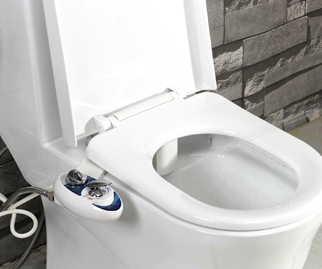 A non-electric mechanical based bidet that attaches to your toilet. This bidet relies on water pressure and can be controlled using a knob to adjust the water temperature from warm to cold. Great for cleaning after bowel movements.